Tending to the health and safety of an elderly parent or grandparent on your own, as a family caregiver, is not a task for the faint of heart. And at times, it can be both tiring and stressful. You’re probably familiar with the experience yourself. Just think about all the days where you would have to juggle between your own personal responsibilities with your work and family. All that, plus you would need to make an effort in assisting your aging loved one as well. Pretty hectic, isn’t it? Most people like to think that being in a care facility can be gloomy and sad. But that’s not really the case when you entrust an older family member with Attentive Senior Care. Being in our care means that your loved one will always have the assistance and careful monitoring of our staff twenty-four hours a day. This type of well-rounded care will not just be beneficial to your senior loved one, but to you as well. As a family caregiver for many years, you might have memorized the do’s and don’ts of senior care. But do you know what else could improve your loved one’s quality of life up a notch? Personal Services given by trained staff in a controlled setting. With our care and services, you should be able to have the peace of mind that the person you care about is in good hands. There is easy access to health care. Not having a car when you need to take your older loved one to the doctor or hospital can be difficult. But with Attentive Senior Care, you don’t have to worry about it. We offer ready transportation to medical appointments and other activities as well, so your parent or grandparent won’t miss out on important events again. There is a bundle of fun daily activities. Boredom doesn’t do much to harm a person directly, but it can keep you on edge for days. At times, it might even make you more vulnerable to thinking negative thoughts. 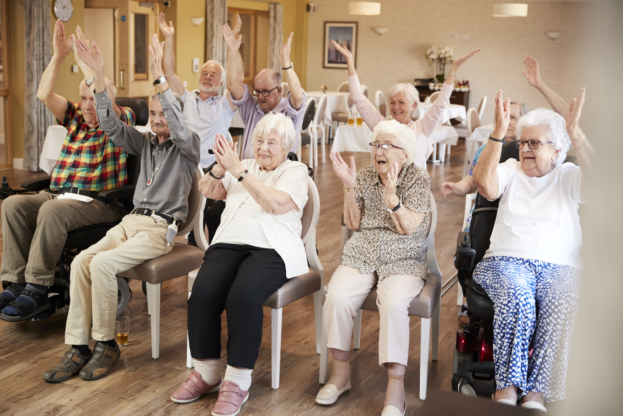 This is why as an Elderly Care Home in Fresno, California that is attentive to our clients’ needs, we make sure to have exciting activities that can catch everyone’s attention and keep them engaged. Are you curious about what activities we might have planned out for you or your elderly family member? You can always give us a call for any questions or concerns that you may have in mind. Or if it’s more convenient, you can also type down your comments or inquiries in the box down below, and we’ll give you a reply as soon as we can! Feel free to share this post with a loved one or friend who has been thinking about transferring to an assisted living facility! Our residents will be able to receive the attention and care they require 24/7. Their families will have peace of mind knowing that their loved ones are safe and properly cared for.